and walk in darkness, we lie and do not practice the truth. We know that God is light. We know it, there is no question about that. But do we pay close attention to the verse above? It says that in Him there is no darkness at all. None. Light and dark cannot possibly mix. 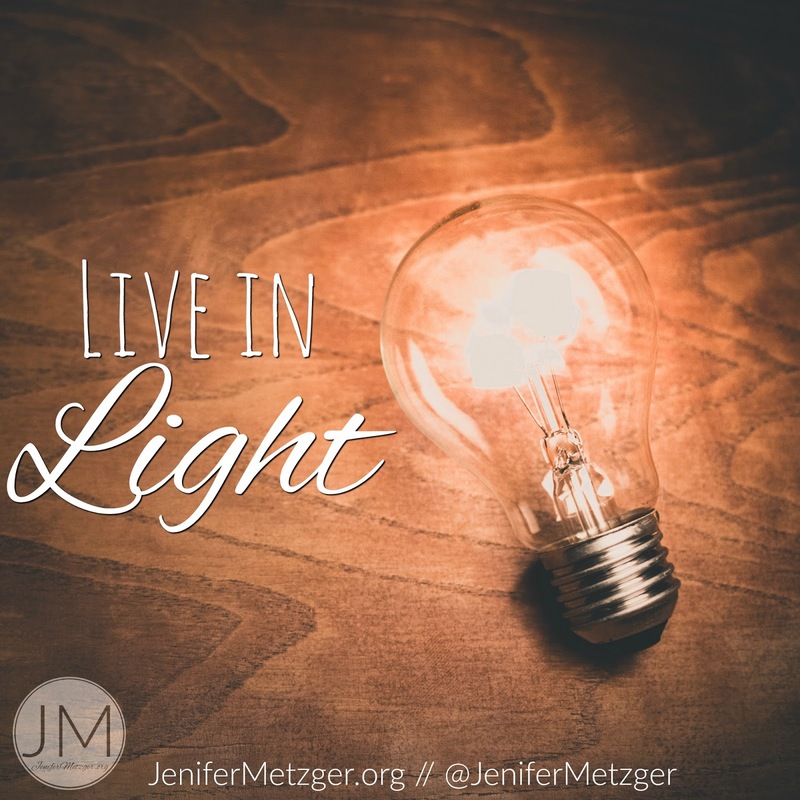 So if we say we know God and live in the light, why do we do things that are of the darkness? Why do we watch tv shows and movies that we know are not of the light? Why do we listen to music that portrays darkness? Why do read things of darkness? Why do we lie, cheat or steal? Even those "little" (which are really not little to God) things like a little white lie or cheating on our taxes or stealing an office supply from work, those are still sins and put us into the darkness. We can't have both. We can't ride the fence. We either live in light or live in darkness. There is no in between here. It's time we as Christians re-evaluate our lives. What darkness do we need to get rid of? Today, take time and ask God to reveal to you any darkness you've been living in. Then intentionally turn your back on it. Then commit to memory the verse above. Any time the enemy tries to tempt you with that darkness again, recite the verse and stand firm in light. Jennifer, I love those verses. I picture God as light, and when I walk with Him I'm bathed in that light. But when I step into the darkness I am in a cold, dark place. Thanks for the reminder to choose light.